Donate Your SUV for Dogs! Call us at 651-321-3647 to donate your SUV or station wagon to Pawsitivity Service Dogs in St. Paul, MN! If you donate your car to a charity in MN who has tax-deductible 501c3 status like Pawsitivity, you can write off 100% of your donation for the full Kelly Blue Book value, and we will use your tax-deductible donation to help rescue dogs from all over the country. Most charities don't need another vehicle, so they wind up selling any donation and you only get to write off the amount they sell it for, but Minnesota-based charity Pawsitivity really needs a truck, station wagon or SUV, and we'll actually use it...and the plus side is, you can then write off the full Private Party Blue Book amount for your year, make, and model of car. If you live in the Minneapolis, Minnesota area, and love dogs, why not donate in a way that gets rid of your old car, without having to go through the hassle of selling it, and then you can deduct the entire value from your taxable income for the year? 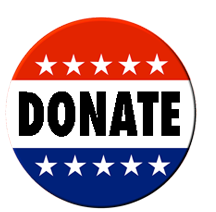 We are such a small nonprofit that your donated truck, SUV, or station wagon will make a huge difference. Most of the families we work with don't use sedans, but that's all we have, so currently, the dogs are just being trained to get in and out of cars. Ideally, they should be getting accustomed to minivans, or an SUV, or similar vehicle, because that's what kind families use nowadays. Plus, the cars we are using have almost 200k miles on them, and thus aren't really appropriate for the long-distance driving we need to do to find the right dogs to rescue. Your donation of your used vehicle will help us continue the mission of rescuing dogs and training them for children with autism! We are based in St Paul, MN, so if you love in the area, you can just drive it over, meet us and the dogs, and get a receipt for your tax return. Why trade-in your car when you can get the private-party "Excellent" value as a donation? A win-win situation for everyone! Call us today at 651-321-3647 and help change lives with your vehicle donation!